Wright's direction was assured and he paced the story very well, except maybe for a slight lagging in the middle of the second act. However, he and Carten crafted enough villains and obstacles to entertain as we arrive at the already-known conclusion, i.e. that Churchill will succeed and Operation Dynamo will triumph (if not, there's always Dunkirk to remind us). But we may not have known was the sacrifices that were made en route, as well as the governmental opposition to Churchill's leadership. And the opposition was presently logically (who can forget Gallipoli? ), albeit a tad blatantly as the weaker options. Oldman was fantastic! Timothee Chalamet has nothing against him. This is acting. 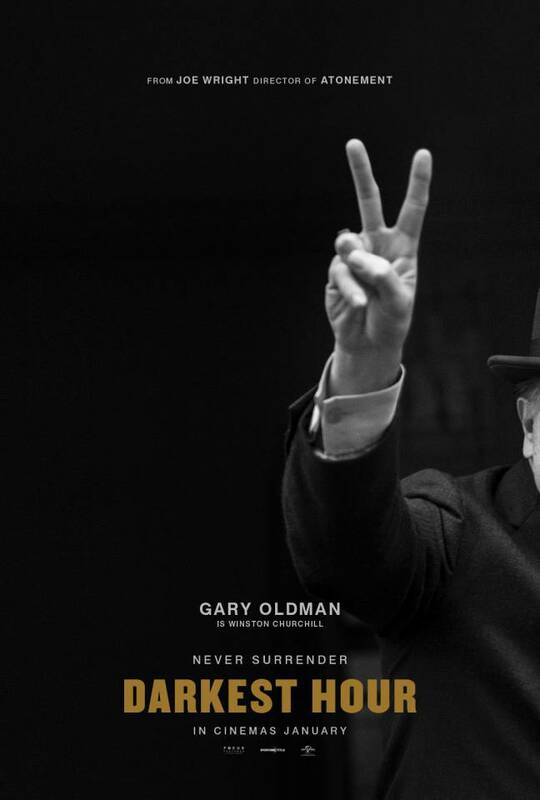 Oldman inhabited the role totally, looking and sounding like Churchill. And beneath all that makeup and prosthetic, Oldman was barely recognisable. However, his eyes carried so much weight and so much acting was done through his eyes and body language. Oldman and John Lithgow each had their own strengths in their portrayal, but Oldman definitely had more opportunities to embody the spirit and determination, i.e. more speeches to give, and in so doing, also more chance to shine. Thomas was highly underrated. She brought such poise to her Mrs Churchill, and the love and affection she had for Oldman's Churchill was palpable and genuine. James, one of the more underrated actress of her age, shone as the audience surrogate. And although her role was small, she was a catalyst for the emotional climax and allowed Oldman to be more than just a curmudgeon grouch. Similarly, Mendelsohn - an Aussie King - displayed a nuanced performance as the monarch torn between doing what is right and what is safe. And like James, he served to bring out the many other aspects of Churchill beyond the public speaker/politician. Marianelli will surely get another Oscar nomination for Best Soundtrack/Score, with a composition reminiscent of his award-winning work for Atonement. And like most of Wright's period films, the production and cinematography are simply top-notched, as were the costumes and makeup. All these men and women made the film possible and made it as stunning as it was. Darkest Hour was a superb film and one of the best, all-around film of the year. Oldman may be the only one getting all the attention, and deservedly so, but everybody else contributed to its success. A genuine Best Picture/Ensemble candidate.